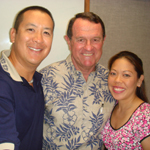 John DeFries has dedicated most of his professional years to promoting the islands of Hawaii. For the past 28 years, he has been directly involved with the State’s visitor industry. 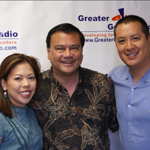 Today, John sits as president and CEO of Hokuli’a Development, a 1550-acre master plan community on the Big Island. John owes his career inclination to the exposure that he has had with various cultures, which has also made him realize the value of his own customs and traditions. “Engaging with people who come from different places in the world is probably an education that I value greatly even to this day,” he said. John’s mother, who took care of him and his siblings as they grew up, continues to be his inspiration. But what made a profound impact in his outlook is the passing of his father when he was 28 years old. Clinton Churchill’s personal and professional experience spans industries and geographies, and he uses this eclectic background as a tool to reach out to the community. 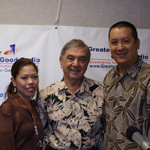 Max Botticelli has been unwaveringly involved in Hawaii’s healthcare industry for more than five decades, and has been at the forefront in advancing the state of healthcare in the islands for many years. He, along with a few colleagues, founded the University Health Alliance as a way of influencing the quality of care that is delivered in Hawaii. 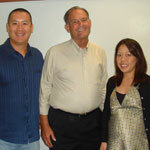 Today, Max runs key positions in the third largest commercial health insurer in Hawaii with more than 1,500 employees. 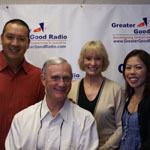 SANFORD MURATA - President of Sanford Murata, Inc.
Sanford Murata makes productive and philanthropic use of his 41 years in the real estate industry. He wants to pass on the knowledge and experience he has gained over the years by acting as a bridge to the disadvantaged, providing them opportunities that they may otherwise not receive from anywhere else. 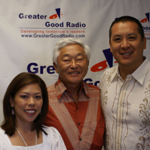 As president and chief executive officer of Sanford Murata Inc., Sanford has learned to engrain a social value philosophy in his company’s business activities. Five years ago, Keli’i Akina and his wife, Patty, recognized the need to open brighter prospects for young people who would become Hawaii’s future leaders. 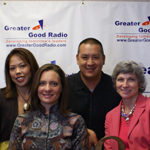 In 2002, the couple founded the Center for Tomorrow’s Leaders to help identify some of the top future leaders and give them the best available training that they could get. 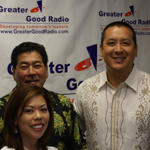 Keli’i believes that most social problems can be alleviated through leadership. And this has been his mission – to hone the skills and capabilities of the youth to become effective administrators of the community. Being a university administrator is a daunting task; one has to deal with the academic programs offered to thousands of students, and also, manage hundreds of staff and faculty members. 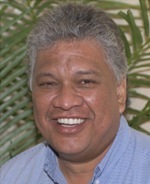 But Gene Awakuni, chancellor of University of Hawaii at West Oahu, is more than equipped to handle such challenge. Gene has the knowledge and experience that puts him in the shoes of the myriad of youth who veer off path, and then rise up to become successful in both life and career. His tool is his past and the insights he has learned from it. 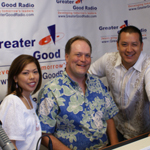 TOM ZIMMERMAN - President of Central Pacific HomeLoans, Inc.
“Take the leap and have fun doing it,” advises Tom Zimmerman, president and director of Central Pacific Homeloans, to individuals who want to venture into business. Tom has more than 12 years of experience as a mortgage professional, and combined with his zeal for entrepreneurship, has become an effective business leader in this side of the financial industry. No employees, no plan, and no money – these were the challenges that attracted Bob Dove to run the state’s largest writer of workers’ compensation insurance. 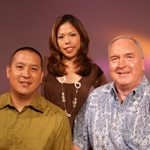 Under Bob’s leadership, Hawaii Employers’ Mutual Insurance Company, Inc. (HEMIC) was able to sign 292 policies amounting to $1.3 million in premiums, within its first month operation. HEMIC is a high quality, competitive insurance company that is today’s leader in Hawaii’s workers’ compensation insurance industry.